MasterCard, serving more than 24,000 member financial institutions worldwide, is the #2 payment system in the US. 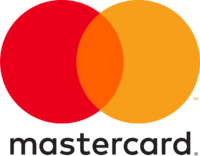 The company does not issue credit or its namesake cards; rather, it markets the MasterCard (credit and debit cards) and Maestro (debit cards) brands, provides the transaction authorization network, establishes guidelines for use, and collects fees from members. The company provides services in more than 210 countries and territories; its cards are accepted at more than 25 million locations around the globe. MasterCard also operates the Cirrus ATM network. Case description: Alleged MasterCard unlawfully fixed the price of fees charged to merchants for transactions processed over the MasterCard networks. Cypress acted as expert witness on behalf of MasterCard as to the solvency of the Company prior to its initial public offering.